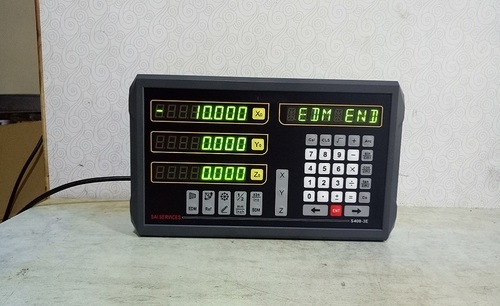 We are placed amongst the renowned manufacturers and suppliers of a comprehensive range of Digital Readouts Machine.It is suitable for different types of machines such as milling machine, lathe machine and grinding machine. This system is manufactured at our production unit by making use of the finest quality component and contemporary technology. We offer this system in different technical specifications as per the application requirements of the clients. Moreover, this Digital Readouts Machine is delivered to the clients at reasonable rates. Sai Services is bent on assuring an excellent quality standard of machines and achieving admirable recognition with simple yet innovative design along with outstanding workmanship. © Copyright 2018. Designed And Developed By DMS SOLUTIONS All Rights Reserved.